With summer come those rising temperatures that leave us sweating buckets. Here in Colorado, we’ve already experienced quite a few 90+ degree days and we’re just finishing up June! I know, I know. Those of you in Texas and Florida are now rolling your eyes due to the fact that you’re used to those 90 degree days with a WHOLE lot more humidity involved. Some of you reading this might even be 100+ degree veterans. I’ve long been a believer in the benefits of drinking smoothies, especially for post-workout recovery. Smoothies taste even better during the summer time when you want something cold and refreshing. They’re also very easily digested and allow your body to make the most of that nutrition in a short amount of time. 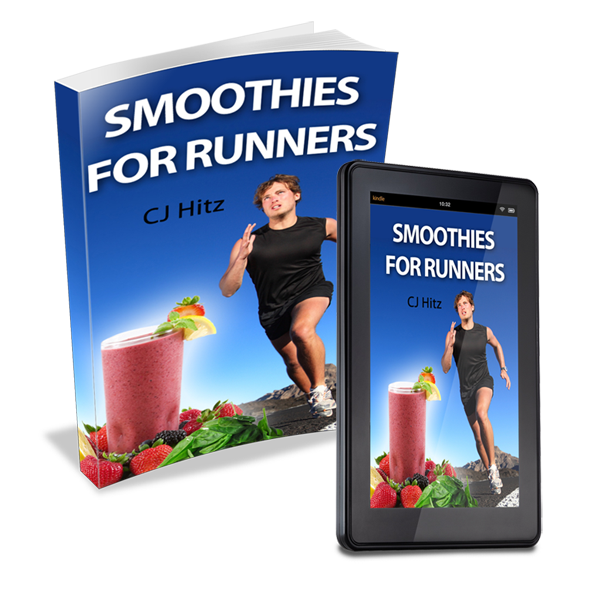 You chocolate lovers are going to absolutely love the following smoothie recipe I’ve adapted from one of the recipes in my book Smoothies For Runners 2.0. Whether you’re a runner, swimmer, cyclist or all three, this smoothie is going to light up your taste buds and provide some lovin’ for your body. Sometimes we just need to splurge and enjoy a decadent dessert. 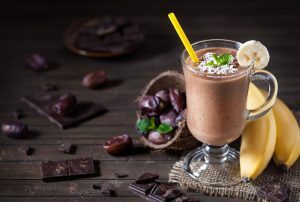 With this smoothie, you can enjoy the flavors of chocolate, caramel and almonds while also gaining some quality nutrition. Almonds are high in vitamin E and have also been shown to reduce LDL-cholesterol as much as first generation statin drugs. Almonds are a very satiating snack with 6g of protein per serving (about 22 nuts). Who knew that going nuts could be so healthy? BONUS – for a sweet & salty flavor, put some salt around the rim of your glass like you would for a margarita. If you’re going to splurge, whether it’s a decadent smoothie or another sweet treat, you might as well earn it by clearing some hard-earned calories with a nice long run. Studies have shown longer, slower runs to be very efficient at fat burning. Many runners will differ on their definition of a long run, but I believe 90 minutes or more will begin to tap into those fat stores as fuel. Most of us will agree that food always tastes better after a long run! Recently, my wife and I watched the award-winning documentary Fat, Sick and Nearly Dead for the second time since it released over 10 years ago. In the film, Joe Cross, an overweight Australian business man sets out to live on fresh fruit and vegetable juice for 60 days to see if he can reverse his autoimmune disease and get off all medications. 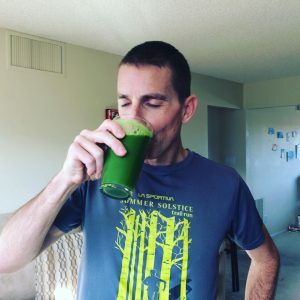 Along the way, he inspires others to take on this juicing “reboot” as he refers to it. I won’t spoil it for you other than to say it’s a very well done film with valuable information, inspiration and humor along the way. Needless to say, we were motivated to buy a Breville juicer afterward and begin our own one week juicing reboot. We started the Saturday after Thanksgiving in order to detox our bodies and reset the system. My wife’s goals were to lose a few stubborn pounds and also try alleviating some soreness she had been experiencing due to inflammation caused by diet. She also wanted to see if her allergies would clear up. As for me, I had added a few pounds I could stand to lose and I also wanted to increase my fruit & veggie intake and get my body craving those things daily. We were eating salads and some fruit on a weekly basis but we had also fallen into some bad habits with sweets and things like pizza (one of our weaknesses). On any kind of fast, whether it’s a water or juicing fast, the first 3 days are always the worst. It’s during this time that the body is trying to figure out what’s happening. If you’ve been used to consuming loads of caffeine, alcohol or sugar, you better believe your body is going to demand those things. As a result of “starving these appetites”, it’s quite normal for people to experience mood swings, headaches, and even some sluggishness. We certainly experienced those things, although not too extreme. I had some minor headaches on days two and three due to refraining from my two cups of daily coffee. Shelley didn’t experience the headaches since she drinks mostly decaf teas. We both experienced the sluggishness and also some mental fog those first three days. I would say we began to turn a corner on day number four. It’s not uncommon for many people to begin experiencing more mental clarity, energy bursts, and decreased craving for unhealthy foods. This was the case for us. Trust me…once you get past the first three to four days, you’re home free. Unfortunately, many people bail before they turn that corner due to the addicting nature of food. Another thing you can expect is sharper senses…sight, smell, taste, etc. When a person consumes a glass of fresh juice, the stomach receives it as though it’s simply water. Without the extra fiber, fat and protein, the digestion system doesn’t need to send in all the extra tools it normally would to help digest those things. Yes, you get some natural sugar rush, but you also get a rush of nutrients flooding your system. Since the body isn’t working to digest anything, you get the bonus of feeling that extra energy almost immediately. I will say that bowel movements do change with each passing day. As the body detoxes those first few days, you can expect to visit the bathroom quite “regularly” as the body gets rid of the extra baggage. Once you’ve emptied your bowels (each person could vary in terms of the time it takes), the body will simply process the fresh juice as water and you’ll be mostly peeing. In just one week, both Shelley & I experienced some nice results. I lost 8 pounds and she lost 7. Her allergies cleared up by day four. We came off of the juicing fast with a fresh desire to eat clean and significantly increase our fruit and veggie intake. 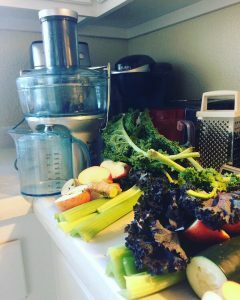 Not only are we now beginning our day with a green juice but we also intend to do a 5-7 day juicing fast four times a year to cleanse and reboot our bodies. What a privilege to have access to fresh fruit and vegetable produce all year round for juicing. If you have farmers markets in your area, take advantage of them as much as possible. It’s especially helpful to buy produce when it’s in season. I highly recommend watching the free documentary and doing your own juicing reboot for at least 4-7 days. Doing something like this after the holidays would be especially beneficial and will launch you into 2018 with a bang! Here’s to juicing…the legal way! Makes a 20oz glass of fresh juice…cheers! Don’t have time for juicing raw fruits & vegetables? 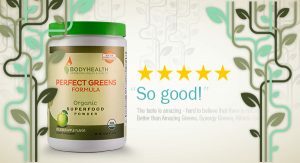 I’m also a big fan of PerfectGreens by BodyHealth. In my opinion, this is the best-tasting green juice powder available with a sweet apple flavor. Each serving contains the daily recommended amount for fruit & veggies, all with the convenience of being juiced and ready to go! Whether you begin your day with a serving or incorporate it into your post-workout smoothie, you’re going to love it. Give it a try by using code HITZ10 for 10% off your next order. If you’re a fan of caramel apples, this is a smoothie recipe you’ll want to try. 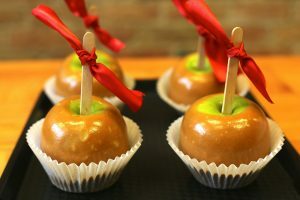 This recipe also reminds me of the Caramel Apple Pops that Tootsie Roll makes…but with much healthier ingredients (and no weird chemicals added). Apples are a great source of dietary fiber which helps bind up waste throughout the body. Not only do they contain plenty of antioxidants but Granny Smith apples are slightly higher in potassium than other varieties. By the way, eat the skin (only if organic) also since it contains a high amount of vitamin content. Similar to a warm-up, a cool down is essential after a hard workout or race in order to loosen muscles and help rid the body of lactic acid. 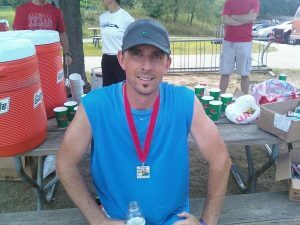 I generally like to do a solid 1-2 miles of very easy running post-race or workout. A cool down will allow your next run to feel even better! Do you have trouble sleeping? Find yourself tossing and turning throughout the night? Do you wake up in the middle of the night only to have difficulty falling back to sleep? There’s just no getting around the importance of sleep for runners. Unfortunately, many people could answer yes to one or more of those questions. Millions of people would be considered chronically sleep deprived which means they’re never fully rested. It also means they’re less alert on the job or other routine tasks they try to perform throughout the day. As runners, we simply can’t afford to be sleep deprived. Without a doubt, quality sleep for runners is the most important recovery tool we can utilize.. And when I say “quality” sleep for runners, I’m talking about the deep REM (rapid eye movement) sleep that helps facilitate the recovery we need from all the mileage we demand from our bodies. 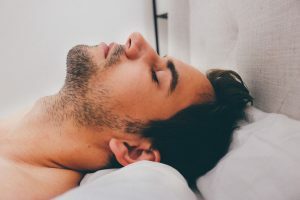 As we enter into deep REM sleep, blood flow to the brain decreases and shifts toward muscles, giving both our minds and bodies time to rest & recover. The more REM sleep I get, the more refreshed I feel and ready for peak performance during the day. I notice a real difference in those first few steps out of bed after a great night of sleep. Most of us who follow sports have heard the initials HGH which stands for human growth hormone. Unfortunately, many professional athletes over the years have illegally received HGH injections in order to improve athletic performance. But as we get into a deeper sleep, our bodies actually release HGH naturally. This natural hormone is released by the pituitary gland into the bloodstream which then helps rebuild damaged tissue and strengthens muscles. When we’re in a chronic state of sleep deprivation, HGH production decreases and our bodies simply cannot recover properly after our workouts. In fact, too little sleep will lead to an increase in cortisol production-another hormone associated with responses to stress. Too much cortisol will slow our recovery time. Our bodies have an amazing ability to adapt when given proper rest. For example, after a hard session of repeats or a race, the body will tend to release more HGH in that night’s sleep in order to aid in the recovery effort. I also find myself going into more extended deep sleep after I’ve done a harder long run. I know, this one is tough for many of us who love our caffeinated drinks. I would encourage you to make it a rule to keep all caffeine consumption before noon. Enjoy that 1-2 cups of coffee in the morning and switch to caffeine free drinks like tea in the afternoon. It may take a few days or even a week to notice the difference but eventually your body will thank you in the form of sleep as you reduce and strategically time the intake of this stimulant. When we exercise, we increase our heart rate. A higher than normal heart rate will prevent us from falling asleep very quickly. 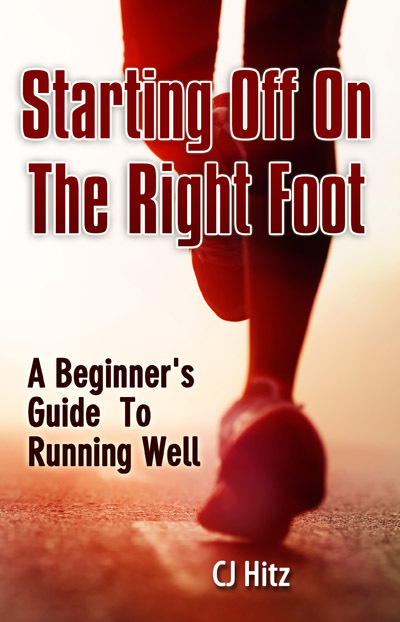 Getting your run in the morning or early afternoon is ideal. This allows your body the time it needs to return to a normal heart rate, especially after a harder workout when the HR goes higher. I’ve noticed a decreased quality of sleep after I’ve chosen to run shortly before going to bed. Many people, runners included, have the nightly habit of winding down with a glass of wine or a good craft beer. And initially it’s true that we become more relaxed. But we pay the price in the early hours of the morning when we should be enjoying some deep sleep. When we consume alcohol shortly before we go to bed (especially more than 1 drink), our livers have to process that alcohol which will increase heart rate. Have you ever woken up in the middle of the night sweating after a heavier night of drinking? This is part of the body’s response to getting rid of the alcohol. It’s one of the reasons we toss and turn as we try to resume sleep. Simply put, consuming alcohol very late into the evening places more stress on the body and will affect sleep for runners. If you must have that pint of beer or glass of Merlot, finish it by 6pm to ensure a better night’s sleep. As someone who has typically had more difficulty falling asleep (unlike my wife), I’ve experimented with various natural sleeping aids. chamomile tea has been one of the ways I’ve enjoyed winding down before bedtime. Chamomile is a natural herb that people have been using for centuries to aid things like stomach relief and sleep. You’ll find several brands and varieties of chamomile tea in your local grocery stores. Another natural sleep aid I’ve seen benefit from is a capsule called Power to Sleep PM by Irwin Naturals. This supplement contains things like magnesium and Valerian root which are well known for their calming effects on the body. I find that when I take the recommended dose of 2 capsules, I usually feel a tad groggy after waking in the morning. Taking 1 capsule seems to be just right, especially in conjunction with a cup of chamomile tea. Finally, a third supplement I’ve been taking in the evening that can improve sleep for runners is a brand new product by BodyHealth called Perfect Calm. The key ingredient in Perfect Calm is magnesium. It’s an incredible relaxation-enhancing supplement that helps restore healthy magnesium levels, provides calcium-magnesium balance, and supports the body’s natural response to stress. I’ve been doing 1 scoop in 6-8 ounces of warm water about 30 minutes before heading to bed and I’ve been pleased with the relaxing effect. As a runner, this is the kind of supplement you can immediately begin seeing results from. While almost half of the U.S. population takes calcium-containing supplements, most of the products do not contain anti-stress magnesium, which is a problem because magnesium, calcium, vitamin K2 and vitamin D all depend on each other to properly function. Although an estimated 80 percent of Americans are deficient in magnesium unless we’re subsisting on a diet mostly made up of dried seaweed and coriander leaf we’re not getting enough! Perfect Calm helps the body achieve calcium-magnesium balance. In addition to supporting the body’s healthy response to stress, magnesium supplementation can also benefit cardiovascular health, proper digestion and—along with calcium, vitamin K2, and vitamin D—bone health. A 2015 systematic review of supplemental nutrients for tackling stress in women noted that low levels of magnesium negatively impact cognitive (brain) health and the ability to cope with stress effectively. One serving of all-natural Perfect Calm provides nearly 90 percent of a full Recommended Daily Value for magnesium. A highly absorbable blend of magnesium carbonate and citric acid—which, combined with water, creates magnesium citrate. Perfect Calm comes in 8oz and 16oz sizes and in two delicious effervescent flavors – Tangerine and Berry Lemon. 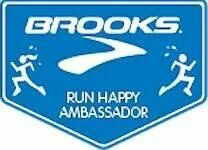 Here’s to some sweet dreams ahead and great sleep for runners! 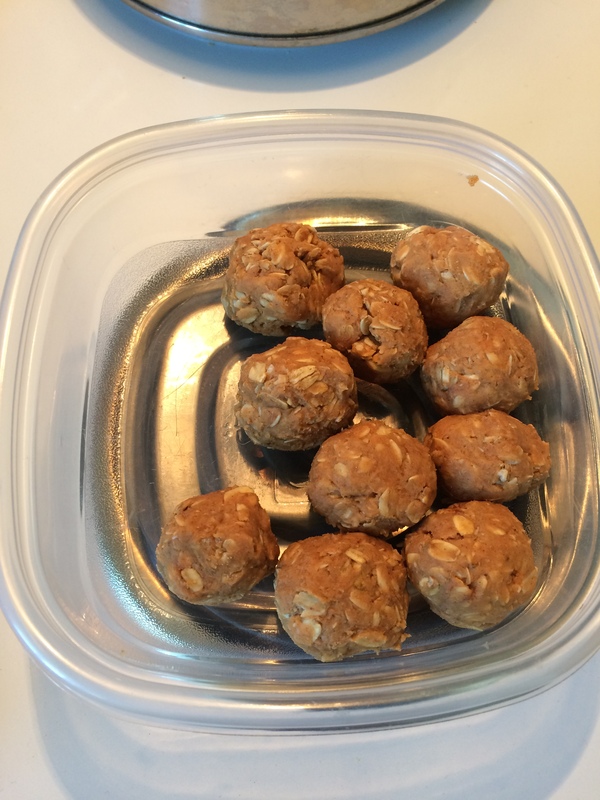 I thought I’d share this easy recipe for oatmeal protein balls with you! As runners, we’re always on the lookout for healthy yet satisfying foods that fuel our runs and aid in our recovery. 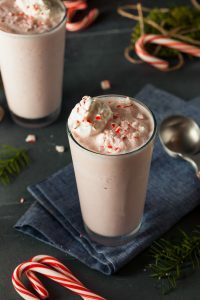 The following recipe is one that my wife Shelley stumbled across and decided to make a couple days ago. I’ve already enjoyed several of these little “power pellets” (remember PAC-MAN?) which make a great snack alongside a cup of coffee. Give it a try yourself and let us know what you think in the comments below. – Mix ingredients together in bowl. – Eat immediately and/or chill the rest. *While going to the work of making balls, double or triple the recipe to have plenty on hand for easy to grab snacks! Freeze for up to 1 month. For you smoothie lovers, here’s a quick video we did while making the Cinnamon Roll Recovery smoothie. It’s basically a cinnamon roll in a glass! You can find this recipe along with 23 more delicious smoothie recipes in my latest book Smoothies For Runners 2.0. Many endurance sports reward lower weight. But sometimes losing weight can cause you to feel weaker than you did when you were heavier, simply because you’re running on fumes. 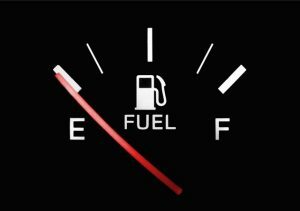 If we cut back on calories but maintain our workout schedule, our fuel tanks are going to be running low. Simply put, glycogen depletion can lead to a loss of pure power & energy. It’s important to time your fueling properly—and consume the proper fuel—to prevent that from happening. 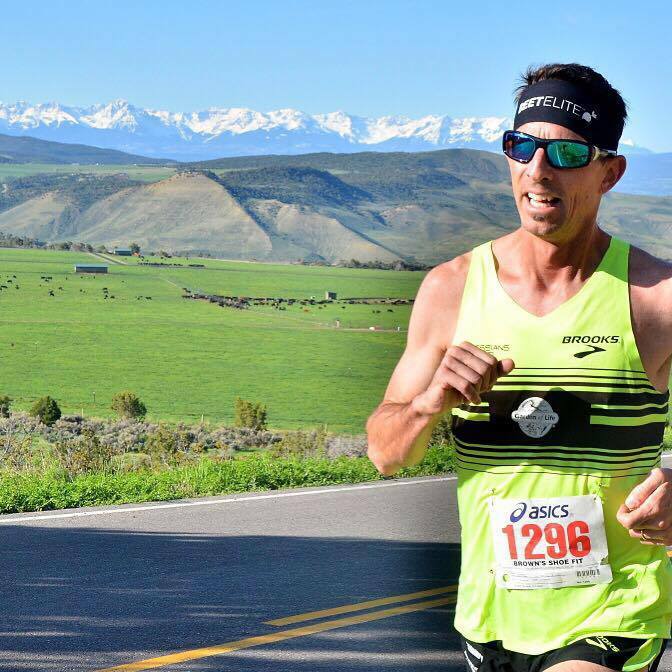 Here are six tips to help you run strong while working toward your ideal training & racing weight, regardless of your body type. Quality runs and high-intensity workouts will help you lose weight, so you don’t want to sacrifice your performance during these key sessions. Fuel your workouts and cut back during the rest of the day. That means topping off your tank with a 150 to 200 calorie snack that will provide sustained energy, such as a Larabar, banana with peanut butter, or a light smoothie. If you’re planning to be out for more than 90 minutes, take extra hydration which might include Nuun tablets or Hammer Heed mixed in your water bottle. Afterwards, have some recovery food available. My personal go-to recovery is a scoop of Garden of Life protein mixed with water in a shaker bottle. It’s 15-20 grams of quality protein that provides my body with immediate rebuilding material. When possible, time your run so you finish around mealtime. That way, you can just eat as you normally would when finished. Sometimes my wife will have a good breakfast ready and waiting for me upon returning from my long run. Gradual weight loss will be less disruptive to your training and ultimately less draining than trying to lose a lot quickly. If you’re aiming for significant weight loss, you have to be fine with the occasional failed workout. I’ve had many high-intensity workouts where my body simply fell short on fuel yet I was still able to finish most of what I had planned. When this happens in training, it’s not a big deal. If it happens during a key race, you may fall short of your goal. This is why it’s important to make sure you have a full tank before that big race. If you’re running a lot, including racing, and trying to cut weight, you need maximum nutrition with little fluff. That means cleaning up your diet to avoid empty calories. I enjoy a tasty craft beer from time to time but when I go into lean mode, this is one of the things I cut out. I sometimes refer to beer as “liquid fat” due to its high empty calorie content – a whopping 7 fat calories per gram! These are things most of us know (heck, even kids know it), but it’s also important to cut out chips, cookies, donuts and soft drinks which are all filled with empty calories. “Empty” means they’re void of any dense nutrition. It’s like filling your car with watered down fuel. Aim for high quality, real food such as fruits, vegetables, quality carbohydrates (i.e. brown rice, sprouted grain bread), high quality protein sources (i.e. wild caught salmon), and healthy fats (i.e. avocados) as they come in whole foods. I try to get a large green salad with lots of variety everyday if possible. Weight loss puts you in a catabolic state so it’s important to take in extra protein to prevent unnecessary muscle loss. Losing muscle will only hurt your running performance. Research shows that people who eat diets that are rich in protein maintain their lean muscle mass which you need to turn those legs over. This is possible even as you’re trying to lose extra fat. This is another reason I like having a good quality lean protein powder on hand like Garden of Life. By throwing a scoop in my shaker bottle twice a day between meals, I’m adding an extra 30-35 grams of protein at a cost of only 200 calories. That’s what you call nutrient dense! If you’re looking to maintain fitness while losing weight, go to bed a little bit hungry. It won’t kill you and it’s an easy way to lose a pound a week. In times where I go into lean mode, I typically have a rule of not eating after 7:30pm. If you must eat something after that time, stick with a piece of fruit like an apple or an orange which is low calorie and high fiber. Shortchanging sleep puts your body in a constant state of stress, which increases stress hormones like cortisol which promote fat storage and make it that much harder to drop those pesky pounds. This effect can be even more pronounced if you don’t get enough sleep while also trying to lose weight. Cutting calories has already put extra stress on your body, not to mention the extra training. Don’t add more stress if you can help it, or you risk overtraining symptoms and a lowered immune system. Here’s to staying lean and mean on the roads and trails! **If you’re looking to lose a few stubborn pounds without losing valuable muscle mass, look no further than PerfectAmino by BodyHealth. I’ve been using this quality Amino Acid supplement for the past couple years and I also recommend it to those I coach. 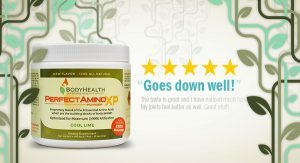 Give it a try by using code HITZ10 for 10% off your order at BodyHealth. We did less than a mile and a half of warm-up (should have done at least 2 miles) and then hit the dirt track at a local middle school. The first 7 repeats felt pretty good but then I felt a slight twinge in my lower right hamstring on the eighth rep. As I continued to push, it got worse so after 8 repeats, my workout was finished. What was I thinking by doing 200 meter repeats in chilly weather without a proper warm-up? Part of the reason I shortened my warm-up was to get started with the workout before we ran out of daylight. I paid the price for that mistake. For the next couple months, I continued to re-aggravate this injury anytime I would push the pace below 6:45 per mile pace. It was frustrating to say the least. I finally decided to visit a massage therapist that a friend of mine recommended. Pam lived up to her reputation of making grown men cry as she worked on numerous stubborn areas, especially in my legs. Pam said I was as stiff as anyone she had worked on. As she put it, “It’s like you’re running on boards!” That’s pretty stiff. It was then that she asked me if I ever used a foam roller, to which I replied no. She said it would be one of the best investments I could make, especially considering all the stiffness my body was carrying. Over time, running can create overuse injuries and tight muscles. If these aren’t addressed, it can create pain that prevents us from doing what we love which is putting one foot in front of the other on a daily basis. 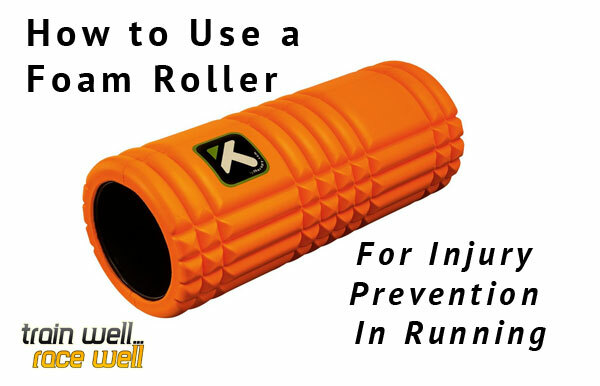 A good foam roller can help iron out areas that have become tight. We all have trouble areas where knots can develop. By taking a foam roller and targeting these knots, we allow our muscles to have a more full range of motion. Think of a knot in a rope. When you remove the knot, you lengthen the rope. For every knot you add to the rope, you shorten it. You want your muscles to have their full range of motion when running, otherwise, those knots can progress to muscle strains or even muscle tears. Unfortunately, I had to learn the hard way by enduring a lower hamstring strain that lingered for over three months before I finally turned a corner. For some people, their injury may occur in the calves. Others may experience pain in their ITB (illiotibial band). Regardless of where the pain crops up, tight muscles can lead to a chain reaction where various parts of the body carry too much load and finally give us a warning signal. It’s when we continue to ignore these warnings that injuries occur. In the video below, running coach, CJ Hitz, will show you how to use his favorite foam roller to address the ITB, hamstrings, calves and quadriceps. 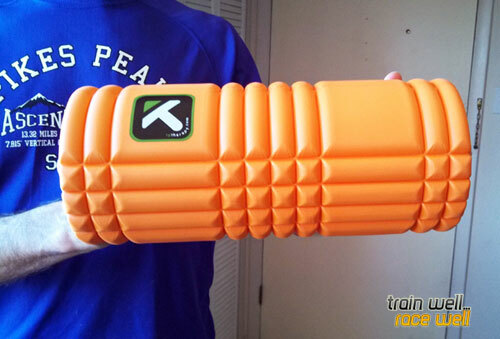 In my opinion, Trigger Point Performance Therapy makes the best quality foam roller on the market. I happen to own “The Grid” version of their foam roller which offers even more targeted massage action with the grooves and grid pattern on the roller. This matrix pattern also helps increase circulation. Trigger Point also makes a “Grid Mini” which is the most travel friendly foam roller on the market and easily attaches to any gym bag, backpack, or can fit inside your suitcase. On the bigger end of the spectrum, they also offer “The Grid 2.0” which is double the size of the standard Grid foam roller. If you can get into the habit of rolling out those trouble areas once a day, or at least every other day, you’ll be on your way to nipping potential injuries in the bud before they rear their ugly heads. Some runners prefer to use the foam roller immediately after a run. I prefer to use it before going to bed along with a ten minute routine of exercises I do to end my day. What are you waiting for? Let’s get rolling!